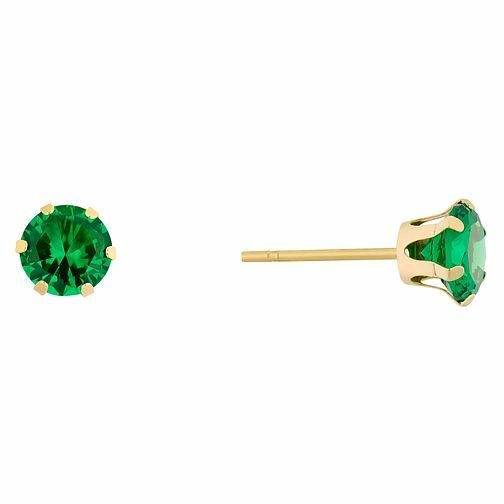 9ct Yellow Gold Created Emerald Stud Earrings is rated 5.0 out of 5 by 3. Rated 5 out of 5 by Anonymous from Great! I was pleasantly surprised at how large and sparkly these are. These are great value for Emeralds! Rated 5 out of 5 by Anonymous from Lovely for a gift Quality pair of earrings. I ordered online and received within two days. Well worth the money spent.